Master Agreement establishes a relationship between the Laboratory and a supplier in which the parties agree to do business under certain terms and conditions that will govern future purchases, but does not obligate funds. Procurement has established multiple Master Agreements for commonly purchased goods and services for the Laboratory. Procurement strives to continuously improve order processing time. Master Agreements may be considered to meet on-going Lab needs – especially when there is high volume of goods and services purchased by several departments with the same supplier. However, Master Agreements may not be appropriate for all suppliers. Consideration on use of a Master Agreement should include: availability of small businesses to provide goods and services, competition requirements, and fair and reasonable pricing. First, check if the good or service you wish to purchase is available from eBuy, or can be placed using a Division PCard. If neither is an option, follow the steps below: Step 1) determine if there’s an existing Master Agreement you can leverage; Step 2) prepare the requisition per the guidance below to leverage an existing Master Agreement. If a Master Agreement can’t be found, submit an ePro requisition to begin the purchase process. The Requester or Requisition Preparer can check whether the goods or services are available to purchase from a Master Agreement before preparing a requisition. To view a list Master Agreements, click on the link provided below. Tip: Click on View All and use Ctrl + F to search the list for keywords once the list is displayed. The Master Agreements list includes the Lab user name of the buyer who set up the Master Agreement. Contact the buyer to verify that the goods or services are available from the Master Agreement. When preparing the requisition in FMS, the Requisition Preparer should enter the Supplier Name and Supplier ID associated with a Master Agreement. This information is provided in the Master Agreements listing. Note: ePro recognizes there is a Master Agreement based on the supplier name and ID. We are committed to providing professional and timely service to our customers. 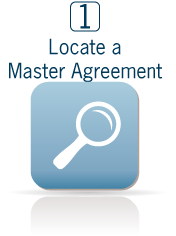 If you need assistance with the Master Agreement process, we can help! For questions regarding Master Agreements, contact the Procurement Help Desk. To best serve all the various Lab departments and divisions, Procurement has five teams to help you with Master Agreement purchases. Get to know our Procurement teams here.